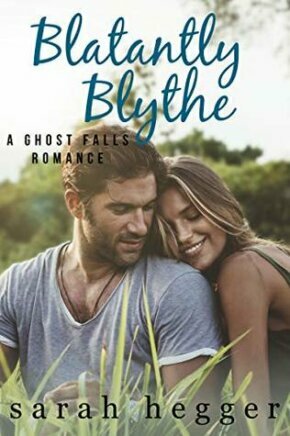 In Blatantly Blythe (Ghost Falls #3) by Sarah Hegger, Eric Evans and Blythe Barrows have had a friends with benefits relationship for a while now, but Blythe is ready to end their arrangement. She’s fallen in love with Eric and he isn’t interested in anything more than what they have. But after Blythe breaks things off and begins to move on, she finds her life becoming complicated. Will Eric realize how in love with Blythe he is before he loses her for good? Every story I’ve read by Ms. Hegger has been an absolute pleasure to read and this third book of her Ghost Falls series was no different. Really, it’s a wonderful tale of forgiveness, making friends, reuniting of family after everything Blythe and her siblings have been through in the past, and fighting for the love of a lifetime despite the tough obstacles. The way this story started had me sympathizing with the heroine, as it’s getting harder and harder for her not to reveal to Eric how she really feels about him. Will Blythe confess her love to Eric? As for the dialogue, it was extremely engaging because of the intensity of the story that creates great tension between the hero and heroine and the heroine and the secondary characters in her family, as her family are terrible and it’s no wonder she’s so determined to fight for her independence, makes the lives of her younger siblings better and prove she doesn’t deserve to have the disreputable reputation she has. She’s nothing like her mother or older siblings that are known for bad choices and being horrible to those that they’re supposed to care about. Will Blythe finally be free? With the main characters, the heroine is resilient, courageous, independent, kind, caring and I loved how she handled everything that came her way throughout this story. Such as her love for Eric and whether she can move on after she breaks things off; fighting free of her family and whether she’ll ever be truly free; and whether she can put her trust in those that weren’t very friendly to her in the past. While the hero, he’s confident, charming, smart, hard-working and I liked how determined he was to help the heroine through everything she goes through with her family. I also liked the uphill battle the hero faces when it comes to saving his family’s company and how the situation creates a tiny dose of suspense that had me worried for this couple and whether they’d achieve their happy ever after. Will Blythe accept the hero’s help? Overall, Ms. Hegger has delivered another captivating read for this series in this book that was packed with emotion; and where the chemistry between this couple was tangible and convincing from the very first chapter; the romance between Eric and Blythe was delightful and had me loving how much opposites attract; and the ending had me so happy that Blythe had so much faith in Eric and his feelings for her. Then again, how could she not when he was constantly there for her, even when Blythe did her best to keep her distance from him? I would recommend Blatantly Blythe by Sarah Hegger, if you enjoy the opposites attract trope, small town romances or books by authors Marina Adair, Jill Shalvis, Layla Hagen and Samantha Chase. Unable to let her go, Eric must fight for what he’s lost. 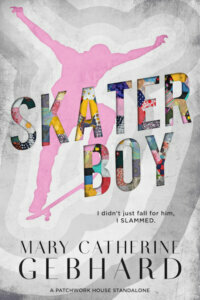 But can Blythe trust him with her heart enough to give their love a second chance? 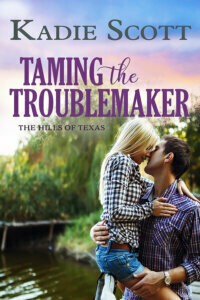 Sarah Hegger writes really good small town romances and this story was fantastic. Hope you give this author a chance. Happy reading! Thanks, Tammy. This book is a really good small town romance. Hope you enjoy it. Happy reading! A new-to-me author who, I hope, will be a true find. I am excited about Ms Hegger & this book. It sounds intriguing & interesting. The review invites me to read the book & discover for myself the resolution of issues for both the hero & heroine. Wow. What a wonderful compliment that my review invites you to read this book. Hope you enjoy it when you get the chance to read it. Happy reading, Felicia!